Today, I am reviewing Corner Creek Reserve, an 8 year old bourbon bottled and sold by Corner Creek Distilling (which I believe is owned by Willett, but I could be wrong about that one). The bourbon comes packaged neatly in what appears to be an old wine bottle. If you were to rip the label off, I suspect most folks would you think you had an old Brandy or Sherry on your hands (just imagine the picture from Corner Creek’s website without the label… http://www.cornercreekbourbon.com/Resources/ccbottle1.jpg). Of course, like all great bourbon drinkers, I am not swayed by the packaging, and my taste buds do all the work in determining the quality of a whiskey (written with a sarcastic chuckle). Corner Creek Reserve is bottled at 88 proof, but it is only lightly filtered, leading to a nice, hazy amber in the glass. On the nose, Corner Creek has some nice vanilla, barrel char, tannins, over ripened berries, bananas, and dried bananas. The palate is especially sweet with berry fruits and corn syrup, and very light-bodied. Some bitter tannins begin to creep in towards the back of the palate and into the finish. The finish is a bit tannic as well, but there is also cherry and vanilla along with a bit of the barrel char from the nose. To me, this bourbon is sweet and sour throughout the whole way through, playing back and forth between the two. Overall, I do like Corner Creek Reserve, but it is certainly not my favorite. It could definitely be a great introduction to bourbon because it is so light and easy-drinking, but that only works if a person then goes on to find better bourbons. If the sweet, berried, oaky flavor profile suits your palate, snag a bottle of Evan Williams Single Barrel Vintage Collection instead. The real highlight of Corner Creek is the price, which is very reasonable, especially compared to other bourbons the same age. That said, there are too many other good bourbons on the market to keep this one around my cabinet very often. My Grade: C. Price: $20-25/750ml. This is a bourbon worth trying, but overall I just didn’t find it all that captivating. Well, I have to admit that I’ve never been a huge fan of Glenmorangie. A few years back, I had the Glenmorangie Original in a bar, and didn’t care for it. Of course, that was casually in a bar, and I suspect that it wasn’t my first drink of the evening. The point being that it was hardly the ideal conditions for tasting a whisky. So, when my roommate offered a sampler pack of 200 ml bottles of Glenmorangie whiskies to me as a graduation present, I was ecstatic to give Glenmorangie another look. Glenmorangie is a Highland Scotch distillery perched on the northern part of the East coast of Scotland on the Moray Firth. Glenmorangie has always been known as an innovated whisky company, a tradition which continues with their staple lineup of 12 year-old finished whiskies. 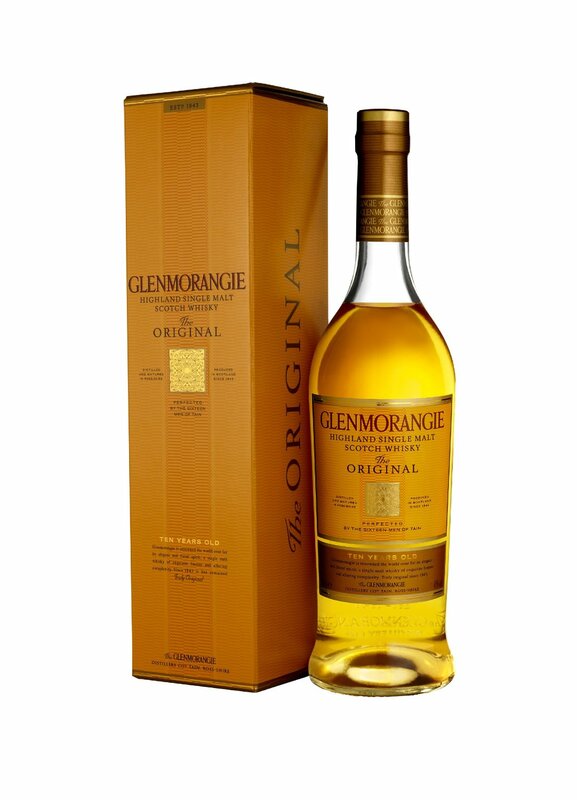 Nevertheless, the signature whisky of the Glenmorangie line remains the 10 year-old Original, aged in American oak and bottled at 86 proof (43% abv). 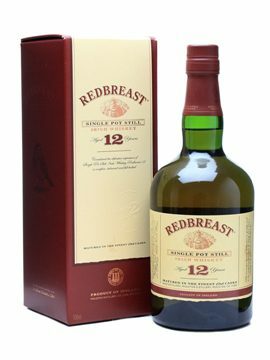 On the nose, the Original is heavy with barley notes, sweet heather, honeyed sweetness, a note of sweet potpourri, and a wee bit of smoke. The palate is well-balanced, with a great combination of pears, honey, and the strong backbone of barley. The finish is medium length, and rather oily as it works its way down the throat. There is a hint of smoke that weaves in and out of a flavor profile of sweet pears, apples, and a bit of floral airiness. Overall, this is a fine single malt and one quite worthy of trying. It is a great way to get interested in single malt Scotch, especially because of the great price and the soft, accessible character of the whisky. My grade: B-/B. Price: $40-45/750ml. This is a whisky emblematic of the mission of Bargain Bourbon, in that it provides a wonderful whisky experience at a great price. Today I am reviewing Rebel Yell Kentucky Straight Bourbon Whiskey, one of the original wheated bourbons. When most people think of an easy-drinking (smooth) bourbon, Rebel Yell comes to mind. Like many wheated bourbons, Rebel Yell can trace its roots to the old Stitzel-Weller distillery. Nowadays, Rebel Yell is distilled and aged at Heaven Hill’s Bernheim Distillery in Louisville, Kentucky (even though the bottle claims it is distilled and aged by the fictitious “Rebel Yell Distillery”). The whiskey is then bottled by Luxco, a beverage supplier that provides Ezra Brooks and Rebel Reserve. Rebel Yell is bottled at 80 proof (40% abv) with no age statement. In the glass, Rebel Yell is a beautiful pale gold color. The nose is very light and sweet, offering baked apples, honey, and vanilla. The palate is light, with ripe gala apples, honey, some caramel, and vanilla. The sweetness is delicious. The finish is rather short, with only some apples and honey hanging on. Overall, Rebel Yell is a peculiar whiskey for me. It is not complex at all, but it is downright delicious. I love the way it tastes and smells, but it does not last for that long, and there is not much complexity to it. It is sweet all the way through, so if you like that flavor profile, you might enjoy Rebel Yell. Honestly, there are times when I am drinking Rebel Yell that I think I am drinking an Irish whiskey; it borders on that type of light, ripe fruitiness. As such, this might be an easy bourbon to get a non-whiskey drinker interested in whiskey. My grade: C. Price: $15-20/750ml. At the price point, I think Rebel Yell is hard to beat for an everyday pour, but it is far from the best that the world of wheated bourbons has to offer. Well, I just finished a huge term paper, so I am rewarding myself with a post that I have wanted to get up for some time. I am continuing to review some good micro-distilleries with today’s review of Breckenridge bourbon. Breckenridge Distillery is a small distillery in Breckenridge, Colorado that has already garnered some international attention for their spirits. Their bourbon won a gold medal at the 2011 International Wine and Spirits Competition, which is pretty impressive considering it is only a 3 year old bourbon. The story of Breckenridge bourbon is that it was originally a sourced whiskey from an unnamed distillery in Kentucky, but the distillery has been churning out its own bourbon since 2009. Nowadays, the bourbon is mostly Breckenridge stock, with the occasional batching with older, contracted stock to ensure a consistent product. I first discovered Breckenridge bourbon at WhiskyLive 2012 here in Boston. I was surprised when the woman pouring my sample of Breckenridge told me that Breckenridge was a 3 year old bourbon that had won one of three gold medals at the IWSC the previous year. However, once I spent a few seconds with this bourbon, I was hooked. It took me a while to find a bottle in Boston, but I eventually got lucky. So, without further ado, here is my review of Breckenridge bourbon (bottled at 86 proof). In the glass, this bourbon is a rosy red amber, not as dark as some older bourbons. One of the interesting facts about Breckenridge bourbon is that the distillery uses snowmelt for their bourbon, as opposed to the mineral rich water used in Kentucky. I think that lends itself to Breckenridge’s lighter character, but that could also be its youth. On the nose, this whiskey is sweet and citrusy. There are big notes of sweet toffee and butterscotch, with some orange peel notes sneaking through. The palate is medium-bodied and simple, but it tastes so good. Vanilla, caramel, and brown sugar come flooding across my tongue and don’t let up. The finish is longer than I would have expected, and it keeps the sweetness of the palate all the way through. There are notes of oranges, caramel, vanilla, and brown sugar cinnamon. Water doesn’t do much good; this one stands best on its own. Overall, this is a delightful bourbon. It is not too heavy, but the sweetness that makes bourbon so delicious is all over the tasting experience. It goes to show (along with my review of Bully Boy last week) that you don’t have to have old whiskey to have good whiskey. My Grade: B+. Price: $40-45/750ml. 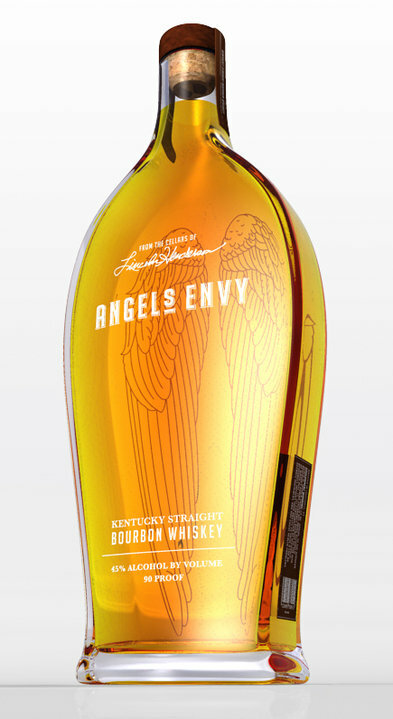 This one is a tasty bourbon, and it has enough complexity to make it an intriguing pour. With a little more body or complexity, this one could easily be in the A range. 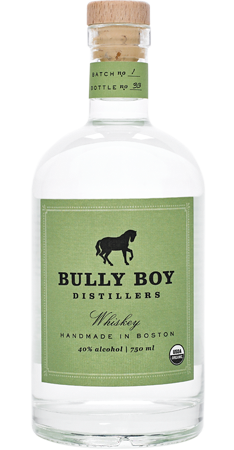 There are better value buys on the market, but it is always fun to give a shout out to micro-distillery. I can’t wait to see what happens if Breckenridge releases some older stocks or some barrel-strength batches in the future. In the meantime, let it ride! p.s. A special shout out is deserved by Bryan Nolt (El Jefe at Breckenridge). I sent him an email inquiring about the source of his bourbon, and I got a detailed explanation within 45 minutes. That is customer service and actually investing time in the consumer. Breckenridge is well deserving of their craft distillery label. Keep letting it ride out there in Colorado.